Embassy and attached agency officers together with members of the Filipino Community during the second FilCom Meeting on 30 March 2019. The Philippine Embassy in Singapore held its second Filipino Community Leaders’ Meeting at the Philippine Chancery. Ambassador Joseph del Mar Yap informed the Filipino Community that the Embassy will conduct the Philippine National Election in Singapore from 13 April to 13 May 2019. The Embassy will adopt Postal Voting using the Automated Elections System as instructed by COMELEC. 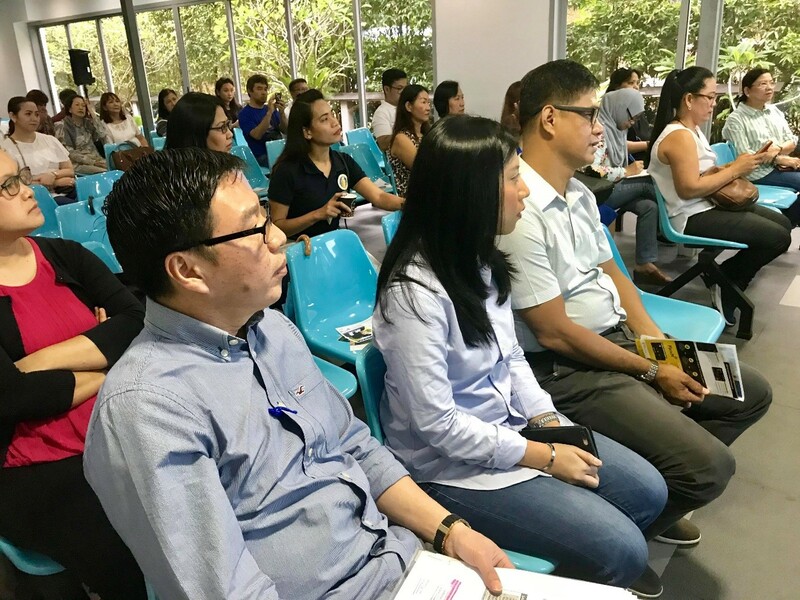 The Embassy thoroughly discussed the Philippine overseas voting rules and regulations as well as Singapore laws prohibiting foreigners from engaging in political activities or meetings as well as campaign for candidates. Consul J. Anthony A. Reyes, Head of the Filipino Community Relations Section, gave the Filipino Community an overview of activities to commemorate the 50th anniversary of PH-Singapore bilateral relations this year: Philippine Tourism and Business Fair, Philippine Investment Summit, Ceremonial Tree-planting, Launch of Commemorative Stamps to be produced by Philpost and Singapore Post, Hibla exhibit, Filipino Film Festival, Filipino Food Festival, Photo Exhibit on the chronology of PH-Singapore bilateral relations and Book Reading of Filipino folk stories. The Embassy envisions to have an inclusive celebration for this year’s Pagdiriwang (Independence Day Celebration) and during the meeting, Consul Reyes encouraged Filipino Community organizations to organize events and participate in this year’s Pagdiriwang. Labor Attaché Saul De Vries discussed POEA Memorandum Circular No. 2 Series of 2019 on the guidelines of processing of OECs of Balik Manggagawa or returning workers while SSS Representative Lucille L. Simbol gave an update on the new rate for SSS contributions. Bayanihan Society Singapore (PBSS), a volunteer welfare organization that render policy initiatives and manage the operations of the Bayanihan Center, invited all Filipino Community members to this year’s Bayanihan Walk which will take place on 9 June 2019. This year’s walk will feature the different bridges in Singapore starting from Clark Quay and including the Alkaff Bridge known as the “Bridge of Art”. The bridge’s decorative artwork is a legacy of the Filipino artist, Pacita Abad.